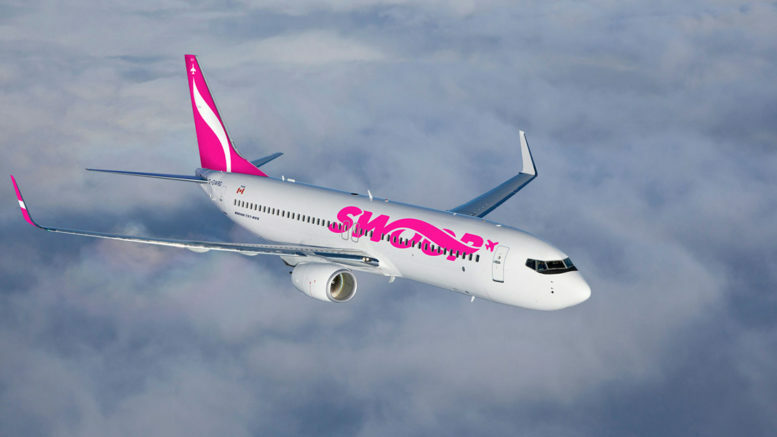 Abbotsford – Swoop Airlines took to social media advising passengers to keep an eye on weather forecasts for both Hamilton and Abbotsford. YXX WEATHER ADVISORY: @EnvironmentCa has issued a snowfall warning for the South Coast of B.C. Snowfall of 10-15cm is expected to begin today and continue into Tuesday. Environment Canada has issued a Snowfall Warning for the South Coast of BC. A long period of snowfall with amounts of 10 to 15 cm is expected. A second low pressure centre in as many days will give more snow to the South Coast continuing into Tuesday morning. This second disturbance will spread snow to virtually the entire South Coast with heaviest amounts falling tonight. Total snowfall amounts will vary across the region with 10 to 15 cm falling in most areas with somewhat higher amounts possible on Vancouver Island. Please plan accordingly to arrive at the airport for your flight. For the latest flight information, please visit FlySwoop.com flight status. Be the first to comment on "Swoop Airlines Advising Passengers About Possible Delays In Next 24 Hours"